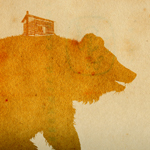 May 14, 2006: Please bear with us while we completely redesign the site! 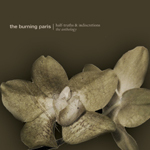 At long last, the collected works of THE BURNING PARIS have been issued on one handy compact disc that will hit store shelves on May 23, 2006. 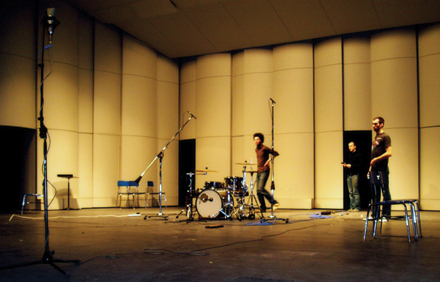 It is no secret of our fondness for the band, having already released a CD for the collective back in their heyday. Half-Truths & Indiscretions compiles the long out of print full length (Coral City Ruin) and EP (And By December You Will Know Where Your Heart Truly Lies) as well as other rarities and unreleased material, all remastered for your listening enjoyment. In many ways, running an independent record label is a lot like dating. There is an initial mutual attraction, followed by courtship and varying degrees of relationship bliss. And if you get lucky, you just might stumble across another who motivates and inspires you to become something greater. To that end, it's fair to say that San Marcos, TX's THIS WILL DESTROY YOU and MAGIC BULLET RECORDS were meant to be. 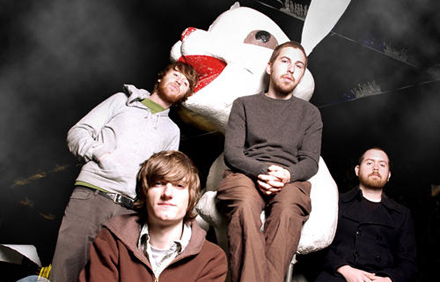 Since we first encountered this band, it's been an unending stream of ideas and positive synergy, finally culminating into the formal release of their debut album, Young Mountain, in stores on June 6, 2006. As our friends over at Rock Sound proclaim, "if you only hear one new band this year, make sure it's this one." THIS WILL DESTROY YOU celebrates the release of their CD via a series of release shows in early June. Hope to see you there. 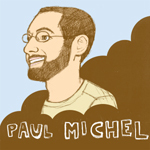 Our resident virtuoso PAUL MICHEL recently entered the studio to begin work on his fourth record for MAGIC BULLET RECORDS, which will be titled Quiet State of Panic. For those who have been following the demo process for the album, this comes as great news, as we've already heard hints at what we can expect from his latest forray into pop mastery. To commemorate the countless hours already spent in the formulation of the new album and give true fans a hint of what's to come, MAGIC BULLET RECORDS will be issuing Quiet State of Panic: The Demos, an extremely limited cassette featuring all tracks demoed for the album. Look for this to become available via mailorder very, very soon. We are also issuing a limited edition CD next month titled Revolve, which features all-acoustic material that many of you may have heard Paul perform at his countless live performances over recent months. 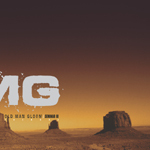 The CD will be in stores everywhere on June 20, 2006 and limited to only 1000 copies. Enjoy. After nearly three months of meticulous crafting and refining at various studios in the NorthEast, SPARROWS SWARM AND SING are entering into the final week of sessions for their MAGIC BULLET RECORDS debut, titled O'Shenandoah, Mighty Death Will Find Me. 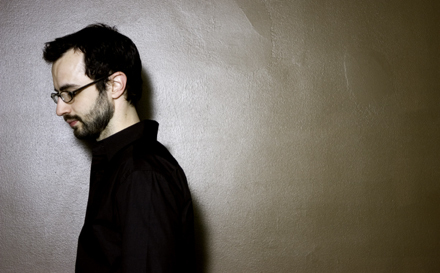 Current speculation is that the album will be arranged in three movements spanning over an hour in length. Dual drum kits, cello, xylophone, violin, guitars, bass, and vocals are all slated to be featured in the final mix, but this is merely a starting point in describing what to ultimately expect from these sonic conquistadors. 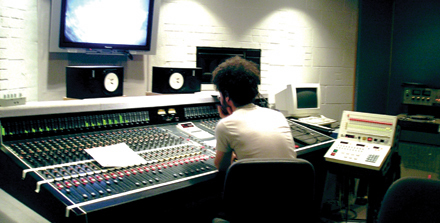 Upon completion of the mixing process, the band will enter Peerless Studios with engineer Jeff Lipton to master everything prior to production. From there, it's a whirlwind of activity leading up to the band having physical copies at the launch of their two-month tour in early July. Artwork has been completed by the band's drummer, Jason Fiske, and will be printed on a rather elaborate ecopak configuration featuring additional artwork on a separate CD sleeve housed within the ecopak. 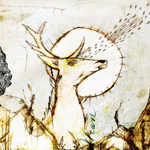 Needless to say, O'Shenandoah, Mighty Death Will Find Me is clearly shaping up to be one of the most ambitious records in the label's 9-year history. The CD version will hit stores everywhere on August 8, 2006. Copies will be available from the label and the band in early July, so be sure to check the label site then or see the band on the road to pick up your copy before anyone else. Vinyl plans for this recording are beyond elaborate... to the point where both the band and label will be taking at least the next four months to finish the planning and execution of such a massive undertaking. More details will be announced as they become available. MBL041: OLD MAN GLOOM "Seminar III: Zozobra" deluxe LP. In stores now. 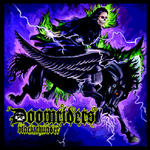 MBL073: DOOMRIDERS "Black Thunder" LP. In stores now. 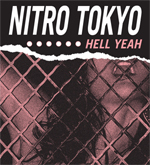 MBL079: NITRO TOKYO "Hell Yeah" CD. In stores now. 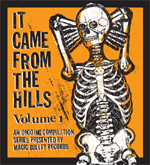 MBL080: V/A "It Came From The Hills Vol. 1" CD. In stores now. 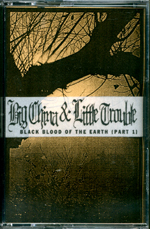 MBL083: BIG CHINA & LITTLE TROUBLE "Black Blood of the Earth Part 1" C-15. Mailorder only.